Below is a list of publications written by or contributed to by Samuel Trychin with brief descriptions. These articles and books cover topics ranging from how hearing loss plays a part in marriages and families to dealing with hearing loss in the workplace and the connection between hearing loss and mental health. Please contact Sam Trychin at samueltrychin@gmail.com with any questions or for more information. Trychin, S. (2017) Pre-awareness-failing to notice or realize Hearing Loss. In Manchaiah, V. &Danermark, B. (eds). 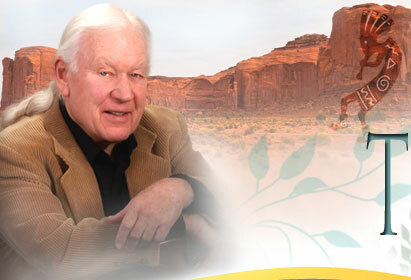 The experience of hearing loss: Journey through aural rehabilitation. UK: Routledge. 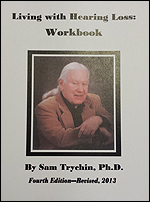 Living With Hearing Loss: Workbook. 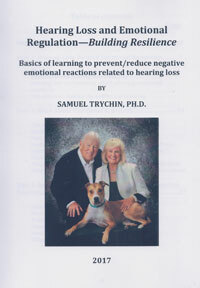 Erie, PA—this is a book containing information and exercises for people who are hard of hearing and their communication partners, including tips of what to do in order to prevent or greatly reduce communication problems related to hearing loss. Communication Rules (Rev. Ed) book and DVD. Erie, PA (2003) —provides information about and demonstration of What To Do to improve communication. Did I Do That? (Rev. Ed.) book and DVD. Erie, PA (2003) —provides information about and demonstration of How To Do It to achieve cooperation from others. Problem Solving in Families (Rev. Ed.) book and DVD. Erie, PA (2003) —provides a set of procedures to follow to reduce resistance to making communication behavior changes. Relaxation Training (Rev. Ed.) book and DVD. Erie, PA (2003)—provides information about and demonstration of breathing and muscle relaxation procedures proven effective in reducing physical and psychological stress reactions. Living with Hearing Loss: At School. Erie, PA (2003)—provides information about what needs to happen in classrooms so that students with hearing loss can understand what is said by teachers, other students, and voices on films/DVDs. Is That What You Think! Washington, DC: Gallaudet University (1988) —provides information about the thoughts and attitudes related to hearing loss that create needless distress and about tactics/strategies for changing to more productive thoughts and attitudes. Actions Speak Louder: Tips for Putting on Skits Relating to Hearing Loss. Washington, DC: Gallaudet University (1991)—provides information about how to set up a situation to produces skits and also provides a series of skits related to hearing loss that are useful in generating discussion. Speak Out: Tips on Speaking in Public for Individuals With a Hearing Loss. Washington, DC: Gallaudet University (1990) —provides information on what to do when providing information about hearing loss to groups of people (as in public speaking).